Central Florida Adult Tutoring Services, takes pride in providing our students with high quality services for all their personalized needs. Our staff members are professional, courteous and efficient. The General Education Development (GED), tests are often used to establish high school equivalency throughout the United States and Canada. The Student that gets a passing score receive a Certificate of High School Equivalency or G.E.D. The tutors will tutor students for a minimum of 2 hours per session. Middle and high school students gearing up to prepare for upper level school applications can benefit from a general tutor. As the child enters middle school, more intensive tutoring may be required. A general tutor will tutor students for a minimum of 2 hours per session. Basic Tutoring Package is for students, that requires minimum assistance with learning. A Basic College Tutor will tutor students for a minimum of 24 hours per Semester. for a minimum of 32 hours a Semester. Advance Tutoring Package is our hold your hand package. This package is for students, that requires full time assistance. An Advance College Tutor will tutor students for a minimum of 48 hours a Semester. 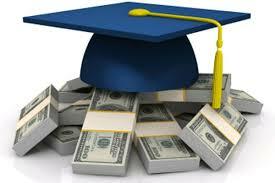 We assist new students with Administration Fee, College Registration, Course Enrollment and FAFSA completion.